The Boulder City Chapter of the Retired Public Employees of Nevada will hold its monthly membership meeting at 11 a.m. today, April 11, at The Homestead at Boulder City, 1401 Medical Park Drive. Candidates for Boulder City Council are expected to speak and chat with members. After the meeting, the group will go to an area restaurant for a no-host lunch. A community blood drive will be held from 1-7 p.m. today, April 11, in the gym at The Church of Jesus Christ of Latter-day Saints, 916 Fifth St. 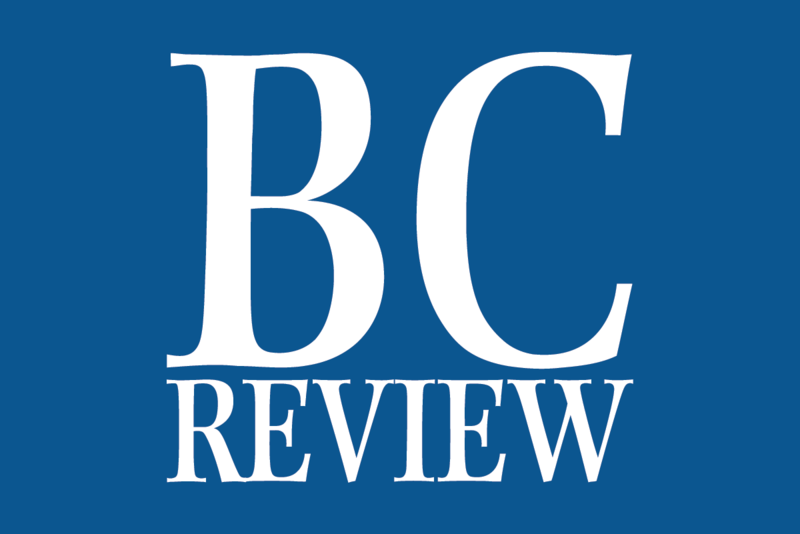 The Boulder City Democratic Club will hold its monthly meeting at 6:30 p.m. today in the community room at Boulder City Library, 701 Adams Blvd. Councilman Kiernan McManus is expected to join the club for a discussion about the questions that will appear on the June municipal election ballot. The Boulder City Republican Women’s Club will hold its monthly luncheon meeting April 18 at Railroad Pass Casino, 2800 S. Boulder Highway, Henderson. The guest speaker will be John Tsarpalas, president of Nevada Policy Research Institute. Cost is $22 per person. Reservations must be made by noon today. They can be obtained by emailing bcgop@yahoo.com or by calling 702-393-1228. Anew Women’s Network will meet at 1:30 p.m. Saturday at Boulder City Library, 701 Adams Blvd. The support group for widows will celebrate Easter, spring and new life with a salad picnic and dessert potluck. For additional information, call Fran Jordan at 702-371-5932. See Spot Run is seeking volunteers to help clean up the dog park inside Veteran’s Memorial Park from 9-11 a.m. Saturday. A variety of light projects are planned at the park, 1650 Buchanan Blvd. The nonprofit will hold its annual fundraiser Bow Wow Bingo on April 27 on the patio at Chilly Jilly’z, 1680 Boulder City Parkway. Doors will open at 5:30 p.m. Dinner will be served at 6 and bingo is scheduled from 7-9 p.m.
Each ticket includes a plated dinner and six games of bingo. Those who bring in a donation of dog or cat food for Emergency Aid of Boulder City will receive an extra bingo card for the last game. Tickets, at $35 for an individual or $60 for a couple, can be purchased at Chilly Jilly’z, outside Boulder Dam Credit Union, 530 Avenue G, or by calling 702-539-7526 or 702-339-8616. ■ Craft club, 3:30 p.m. today in the community room. Bring your own supplies. For those age 10 and older. ■ Drop-in story time, 10 a.m. Friday in the boardroom. For those age 5 and younger and their caregivers. ■ Clay cactuses craft, 1 p.m. Saturday in the boardroom. Register and pay a $5 craft fee at the information desk. ■ Movie, 1 p.m. Monday in the community room. “Fantastic Beasts: The Crimes of Grindelwald” will be shown. ■ Drop-in coding, 6 p.m. Monday in the boardroom. For those age 8 and older. ■ Youth craft hour, 10 a.m. Tuesday in the community room. ■ Crochet for a cause, 2:30 p.m. Tuesday in the community room. Learn how to make a sleeping mat for the homeless out of plastic bags. ■ Virtual reality lab, 3 p.m. Tuesday in the boardroom. ■ Financial literacy book club, 11 a.m. Wednesday in the boardroom. For those ages 4-8. ■ Volunteer event: Earth Day seed collection, Saturday. Join a botanist to help collect native seeds to grow in the plant nursery. Space is limited to the first 18 people. Reservations required. For information or reservations, call 702-293-8174 or email Lake_Volunteer_Coordinator@nps.gov. ■ BBSC Rage Triathlon, Saturday. About 1,000 athletes are expected to participate in the triathlon. Visit https://www.bbsctri.com/rage for more information. ■ Ranger chat, “Wildflower Walk,” 1 p.m. Sunday at Alan Bible Visitor Center, 10 Lakeshore Road. Learn about the blooms that bring color to the Mojave Desert. The Boulder City/Hoover Dam Museum’s Third Thursday speaker series “Undertold Stories of Southern Nevada” continues April 18. 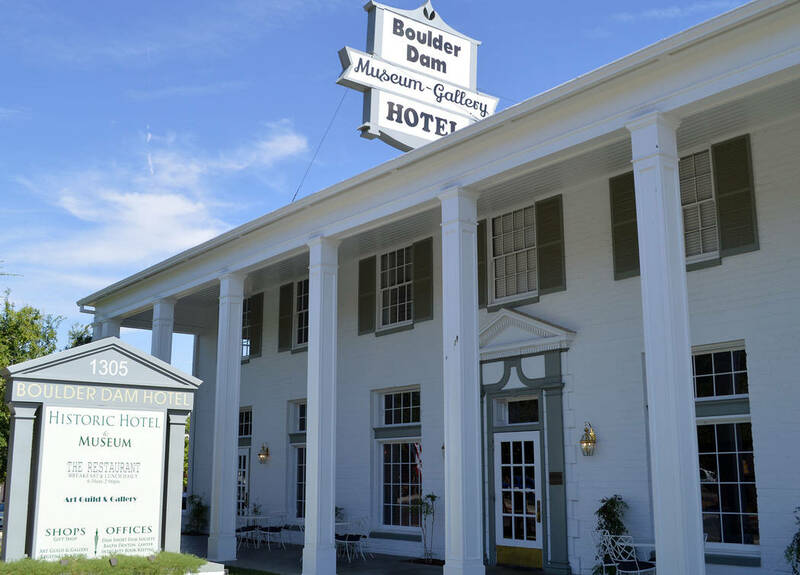 The presentation will be held in the Segerblom Theatre at the museum, 1305 Arizona St.
Boulder City History & Arts Foundation and Boulder City Art Guild are teaming up to promote local historic people and places with its plein air day April 27. From 8 a.m. to 1 p.m. artists are invited to set up easels or bring sketchbooks in front of the Browder building, 552 Nevada Way, to paint the first commercial business downtown or Ida Browder, who operated a cafe in the building. The pieces can be finished on-site or at home. The completed artworks will be displayed inside the auditorium at the Department of Water and Power building, 600 Nevada Way, as part of Historic Preservation Day 2019 and judged by the public from 9 a.m. to 1 p.m. Saturday, May 11. For additional information or to sign up, contact Ray Turner at 702-461-6842. Auditions will be held from noon to 3 p.m. May 4 in the community room at Boulder City Library, 701 Adams Blvd. Those who would like to audition should call or text Justin Keogh at 702-480-3615. Pride in Purity will present its inaugural Regina Rita Howard Memorial charity golf tournament Saturday, May 4, at Desert Will Golf Club at MacDonald Ranch, 2020 W. Horizon Ridge Parkway, Henderson. The four-person scramble will include two hole-in-one challenges, a team grand prize, closest to the pin contest and longest drive prize. Cost is $125 per person, which includes an awards lunch. The tournament begins with registration at 6:30 a.m.; play begins at 8. For more information, visit http://www.prideinpurity.com, email prideinpurity@gmail.com or call 702-858-0434.